This year&apos;s Charleston Bermuda Race received a tweaking to its name (formerly the Charleston to Bermuda Race or C2B), but continues to build on its reputation as a challenging sprint to the British island some 640 miles off Cape Hatteras, N.C. The biennial race, scheduled to begin May 21 this year, covers 777 nautical miles from Charleston, S.C., to St. David&apos;s Head in Bermuda. Crews clear in at St. George&apos;s and then head to Hamilton to the Royal Bermuda Yacht Club for the race end festivities. The race is a relative newcomer to the Bermuda scene. It started in 1997, while the well-known Newport Bermuda Race was first run in 1906 and the Marion Bermuda Race commenced in 1977. The event was the brainchild of Rick Hennigar and David Browder, who both were working at Ross Marine, a boatyard on Johns Island, just outside Charleston. Browder had just finished refitting his 40-foot Bill Cook-designed sailboat Wahoo and was champing at the bit to test his boat. Over a few beers, the two friends kicked around some ideas like the Key West race or the Pineapple Regatta. "I just wanted to race off shore, not in the harbor," Browder recalls. At one point in the conversation, Browder asked, "How &apos;bout Charleston to Bermuda? Should be an easy sleigh ride." And so the concept was born. 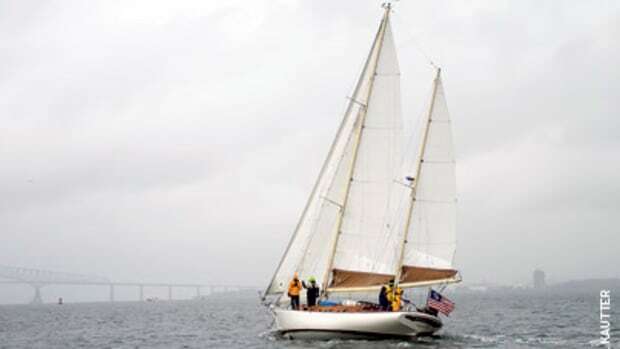 They decided it would be open to anyone with a boat at least 30 feet in length and contacted the Charleston Ocean Racing Association to essentially run the race logistics. The two also financed the first two races themselves with a few sponsors, such as Ross Marine. The crucial alliance was with the Royal Bermuda Yacht Club. "It wouldn&apos;t have happened without them," says Browder. "They took us under their wing." Hennigar laughs at the humble beginnings of the alliance. "We went over there with a logo on an index card ... that was it," he says. 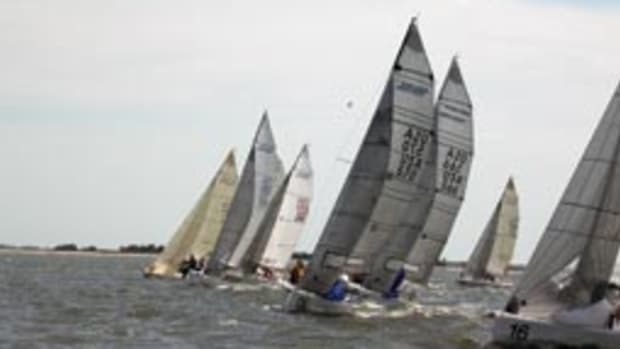 Skippers and crew rallied around the new bluewater race held in May 1997, but not without a few glitches - one notable "glitch" occurring before the starting gun. 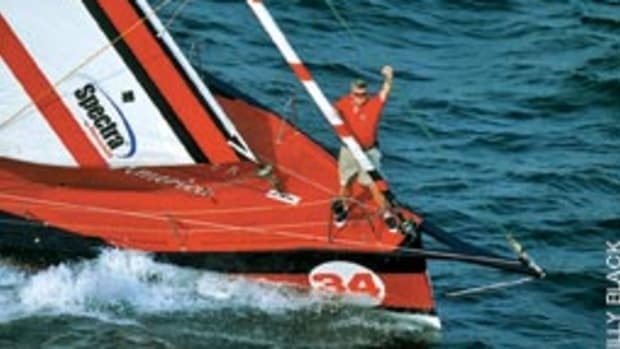 Bob Cummings was sailing his Bavaria 41, At Ease, from Newport, Va., to race. He and his crew encountered massive seas and 50-knot winds and had to be airlifted off the sinking boat near Cape Hatteras. And sometimes start logistics don&apos;t go as planned. Dan Machowski, the Charleston Ocean Racing Association historian, was in charge of the cannon firings. The committee boat was the Coast Guard cutter Key Largo, stern-anchored in the harbor. Machowski wanted to set the cannon (which he&apos;d fired before and knew its power) on the bow. The cutter&apos;s executive officer wanted him to fire it amidships. Clearly outranked, he did as they asked. The Coasties looked on in amazement as the cannon blast burned a 3-foot length of the deck. Regardless, six boats set sail for Bermuda. After the first two races, Browder and Hennigar were looking for a way out of race management. They touched base with Hank Hofford and R.E. "Teddy" Turner IV, who, after forming the South Carolina Maritime Foundation with a few other sailing fans to promote building a tall ship to be used in youth education, were now on its board with Hofford as chairman. "We decided to let them take over," explains Hennigar. "The foundation had more resources, plus we wanted to get on board with the birth of the Spirit of South Carolina - all in the Corinthian spirit." "The foundation had more horsepower to grow the race," Browder adds, "and that&apos;s what we wanted, to grow the race." In August 2002, the foundation took over the Charleston to Bermuda Race and all proceeds from the race would go to building of the tall ship. The Charleston Ocean Racing Association continued as the official race managers and the Royal Bermuda Yacht Club continued as a partner and the host in Bermuda. At that point, organizers were hoping to have 24 boats sign up and had 18 already registered for the 2003 event. The race that year was not an auspicious occasion for the new managers. The wind blew dead out of the east for eight days. Racing on a Bermuda 40, J Henry, owned by Hofford and his wife, Susan Ford, I was part of an all-female crew that made three sail changes before starting. The weather took its toll as five boats ended up dropping out. We watched as one of our competitors blew out his main in the harbor entrance. Less than 24 hours later, after numerous gear failures, our crew also turned back. In the end, only two entries finished in the allotted time. 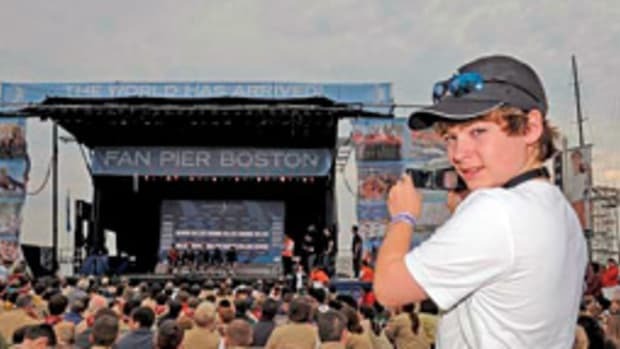 The race has yet to attract the number of participants the organizers would like to see so Turner, now the chairman of the board of directors of the foundation, thinks the move to a new sponsor, the international sail instruction and yacht management firm OnDeck, is good. "It will give the race more professionalism from the company&apos;s experience and worldwide reputation. I think we&apos;ll see a definite change," Turner says. "They can do it so much better than we can. We don&apos;t have the resources and time since we have to focus on the tall ship and its educational programs." The foundation will still get the benefits and more exposure. Turner suggests that without OnDeck on board, "we wouldn&apos;t have the race this year." Shelly Warters, a member of OnDeck&apos;s race organizing committee, says the new organizer is "trying to elevate the race, to take it to another level. [The Charleston Ocean Racing Association] will still be running the start and the [Royal Bermuda Yacht Club] will still take care of the activities there. But we need to reach out to get more boats involved - to get people to realize that offshore sailing is an entirely different world." Anyone interested in the sea and sailing should plan to be in Charleston in mid-May. OnDeck is organizing a race from Antigua to Charleston leaving May 4. 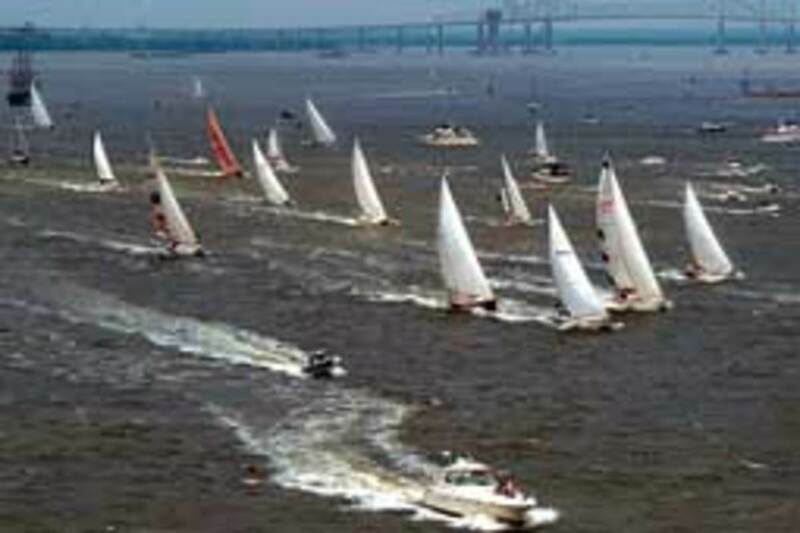 The first boats should arrive in Charleston around May 10-12 - plenty of time to get ready for the race to Bermuda. 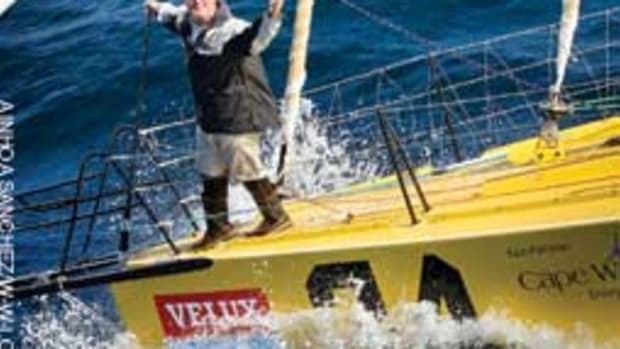 The Velux 5 Oceans Race will be in port with its race village May 10-15, with the start of the final leg back to La Rochelle, France, on May 14. Harborfest is May 12-15. 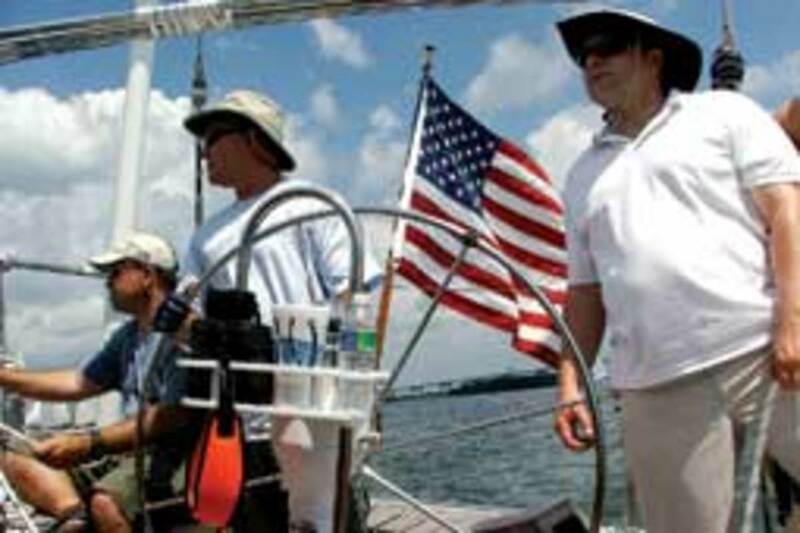 And, of course, the Charleston Bermuda Race starts May 21. "Charleston is just such a wonderful destination and so is Bermuda. Who wouldn&apos;t want to participate just to be in two great places and experience offshore sailing in between?" says Warters. Potential racers can go online at www.charleston bermudarace.com for information on the event and to register. Sailors have a choice of participating in one of five divisions: Racing, Cruising-Spinnaker, Cruising-Non-Spinnaker, Double-Handed, or Multi-Hull. 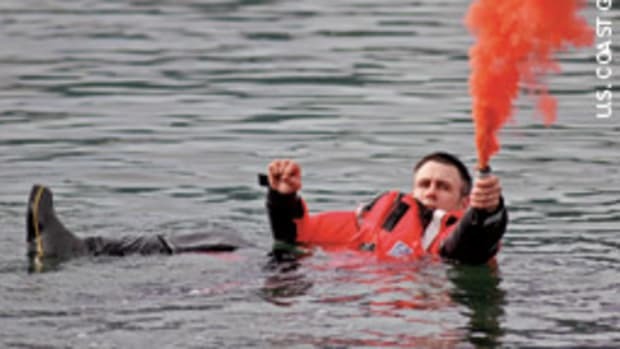 This article originally appeared in the Mid-Atlantic Home Waters Section of the April 2011 issue.